While every couple, family, marriage, and divorce is unique in some respects, divorces fall primarily into three categories from a legal perspective: marriages with children, marriages without children, and both types of civil unions. When there are children of a marriage or civil union, a necessary phase of the divorce is the determination of parental rights and responsibilities as well as parenting time and child support. The next phase of a divorce includes property division and, possibly, spousal support. When there are no children of a marriage or civil union, property division with or without spousal support is the usually the essential element that needs to be decided. 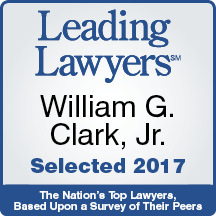 If you have been served with a divorce petition from your spouse or if you have reached the conclusion that you should initiate a divorce after attempts to save your marriage have been unsuccessful, we encourage you to contact William G. Clark, Jr. & Associates, LTD.
A divorce is said to be the second most traumatic event that can occur in one’s life. The only type of event that has been found to be more tragic and traumatic than dissolution of a marital bond is the death of a child. Divorce involves potentially the biggest emotional, financial, and legal decisions you will ever make. It is critical that you have the information and tools you need to navigate these treacherous waters successfully. It is also crucial that you pick the right attorney, someone you feel comfortable with and who will pursue your best interests. What issues must be resolved in your divorce? How are the children’s best interests going to be protected? Issues to be resolved involving the children will include decision-making (religion, medical, education, extracurricular), parenting time, child support, medical expenses, life insurance, and school expense (i.e., college). Property distribution will involve resolution of all real and personal property division, debt allocation, and attorney fees. In some marriages, temporary, rehabilitative, or permanent spousal support(maintenance or alimony) will also be part of the divorce. Discuss your particular concerns with one of the experienced, compassionate, and child-centered Chicago divorce lawyers at our firm today. Call or email William G. Clark, Jr. & Associates, LTD. at 312-329-0830.